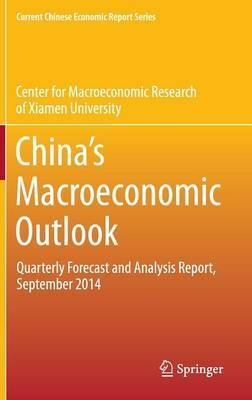 This book is a quarterly forecast and analysis report on the Chinese economy. It is published twice a year and presents ongoing result from the "China Quarterly Macroeconomic Model (CQMM)," a research project at the Center for Macroeconomic Research (CMR) at Xiamen University. Based on the CQMM model, the research team forecast major macroeconomic indicators for the next 8 quarters, including the rate of GDP growth, the CPI, fixed-asset investment, resident consumption and foreign trade. At the same time it focuses on simulation of current macroeconomic policies in China. In addition to helping readers understand China's economic trend and policy guide, this book has three main goals: to help readers understand China's economic performance; to forecast the main macroeconomic indicators for the next 8 quarters; and to simulate the effectiveness of macroeconomic policies.